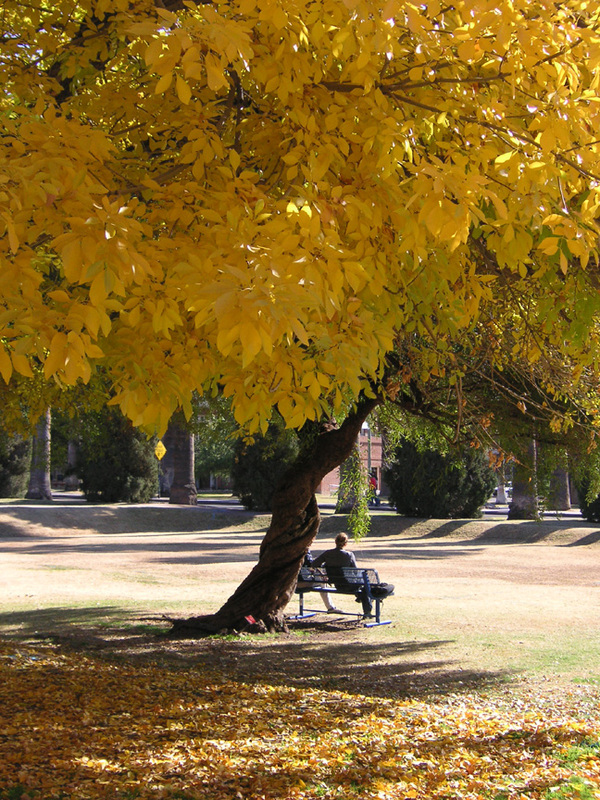 The University of Arizona Campus Arboretum is committed to generating and communicating knowledge that will promote improved landscape practices and enhance human connection and appreciation for trees.To this end, we publish a newsletter twice a year with current happenings, events, helpful tips for tree care and sustainable landscape management as well as poetry, literary quotes and art to inspire your senses. Please browse the archives to see what we've been up to. We hope you'll feel informed and inspired as a result. We've moved to an electronic newsletter only. To subscribe to Tree-News, follow this link. 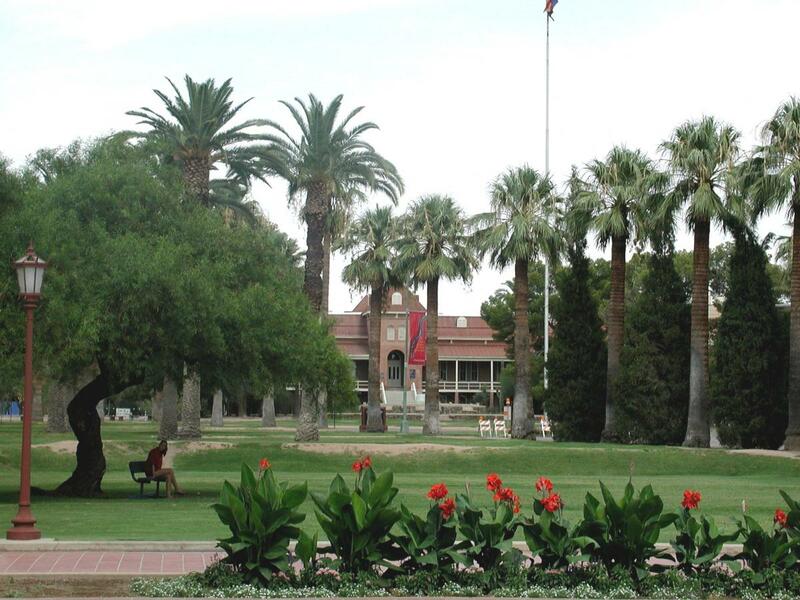 2014 Nature Illustrated "UA Campus Has Collection of Trees for Education, Research." 2012 Get a Break From Yule Bustle. 2012 8,000 Shady Characters at UA. 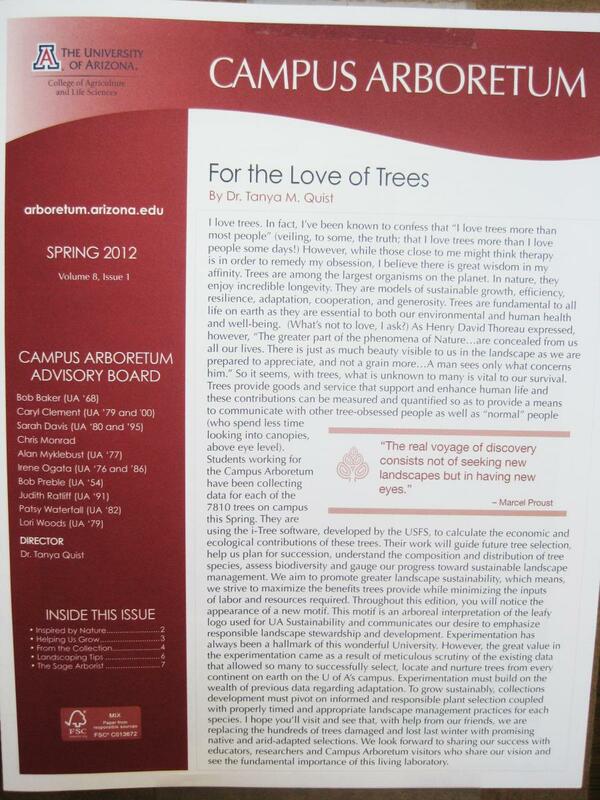 2012 Rooted in the Past, Growing Toward the Future - The Campus Arboretum turns 10! 2011 Arizona Daily Star - Freeze whittles total of heritage trees. 2011 What is One Tree Worth?